Video slot games and casino games offline, as well as online, are all over the place and the players who love and relish these games are always on the lookout for more games of such sort. Games like the jackpot, slot-machines, and casino games are really popular among the masses because of the entertainment factor, and if you are lucky, you can earn a great deal of real money. 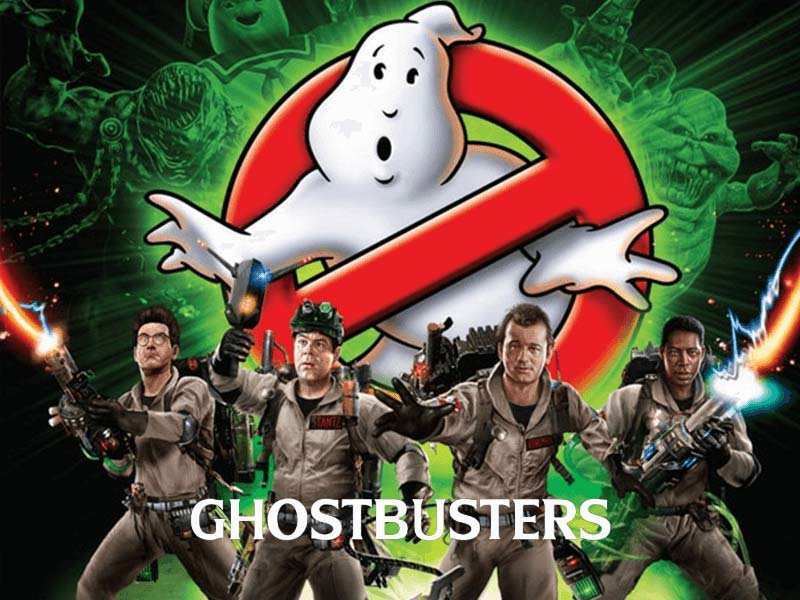 Ghostbusters is a new video slot released in the market by Interactive Gaming Technology. This new player in the market is a very intriguing and spooky video slot-machine game. You can play Ghostbusters online. Ghostbusters features the famous movie franchise and brings out classic characters like the Slimer, the Marshmallow Man and the team of Ghostbusters. This slot has 30 paylines, 5 reels and 50 credit points to play the spins. You can play free Ghostbusters casino slot machine over the internet and this available in many countries like the UK and requires no download of any software. This game is pretty self-explanatory and does not require tedious or strict rules that are to be adhered to. As the game begins, the player of this game will be welcomed by the very famous character “slimer” who will host you throughout the gameplay. Slimer also throws witty remarks and banters after the player gets any achievement. The game consists of a slot like setting where the players just have to click on “spin” and try their luck. A certain combination of characters appearing on the slot will ascertain the amount of your win. If the player is fortunate, he will either land a “bonus” or a “wild” on his slot machine. This acts as a multiplier for your winnings and will earn you a “big win”. Keep an eye on the multiplier as it can also land you good wins. Players at Ghostbusters have to play with 50 coins as it is a fixed stake. The game has a variety of levels to bet, you can choose it as per your desire. It has an impressive payout range with the highest being at 10,000 coins. There are 4 mystery features that will randomly pop up throughout the course of your gameplay and render you decent bonuses and increases. This feature renders slightly better results than the above feature. To avail this bonus you must have two bonus symbols on your 2nd and 3rd reel, as well as a slimer symbol on the 4th reel. After this, you will have 5 shots to aim and shoot the hiding ghosts which will increase your multiplier. These two features provide a pretty good increase in the overall stake. For extra wilds, your slot must show the symbol of “wild” from 1st reel to the 4th reel. For wilds your slot must show the symbol of “slimer” from the 1st to the 3rd reel, this has the biggest possibility of rendering the best increase in your stake. The bottom line is that Ghostbusters by Interactive Gaming Technology promises a great playing experience with your favourite characters, a good play time, amazing visuals and lucrative bonuses. Along with its great playing time this game has a very functional customer support service, a secured gateway for payments, ease of withdrawal and an overall good slot machine experience. 0 responses to "Ghostbusters Slot"